Email is still the number one way to communicate in the world. Whether it is personal or professional, most people would mark email communication as their preferred method of contact. However, this does your business no good if your customers and leads are not clicking on the information you send them in your emails. If you are going to utilize this form of communication, be sure you are actively working towards increasing your click through rate. Having higher click through rate in your emails isn’t just important so you can say you have a high click through rate. These rates mean you are providing your customers with information that is valuable and interesting to them - either through offers, CTAs, or links to pages on your website. Each place a contact can click should serve some purpose to drive them further into the buyer’s journey. This is why you want to work towards increasing your click through rate - because the higher your click through rate in emails, the higher a chance you have of conversion. 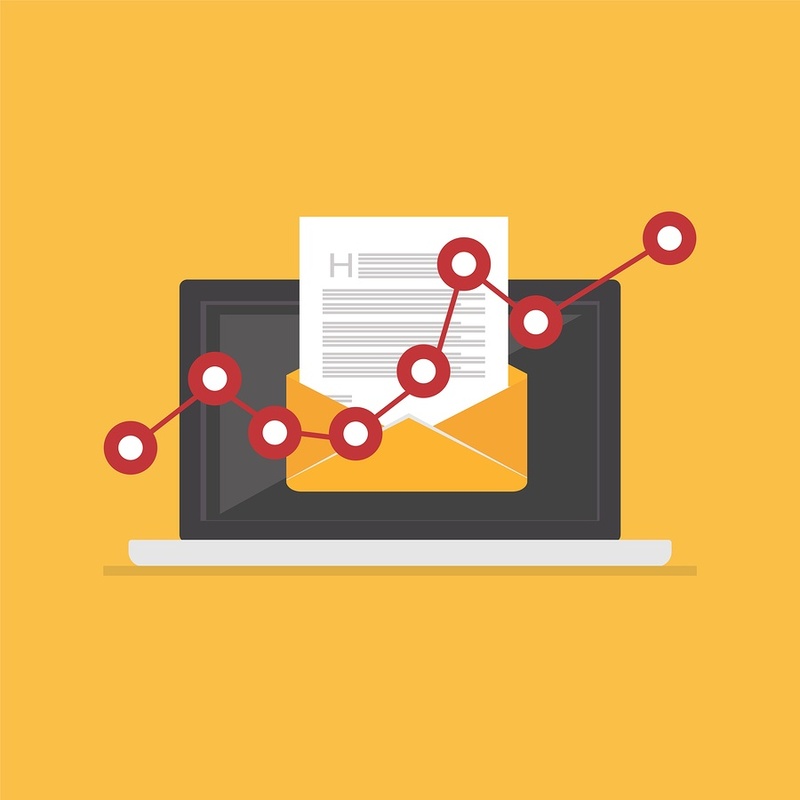 As with any marketing tactic, your emails campaigns should always have a specific goal. Determine the action you want your contact to take as a result of receiving the email. It could be a click on a CTA, a form filled out, or a visit to a specific page on your website. After you have determined the goal of your email, you can then create your email around that goal. For example, if your goal was to have your contact visit a specific page on your website, try not to have any other distracting links or CTAs in your email. You don’t want to take away from your goal by doing too much at once in an email. Goals also help keep your emails short and to the point. If you want a contact to fill out a certain form, you don’t need to also talk about your latest blog post or send them a content offer. You want to drive them towards the goal of the email: a form submission. We’ve talked before about the importance of using lists in your email marketing. Now, these lists can be put into action. If you have lists based on certain contact properties, you can use these lists to target email content to segmented groups of people. Because the content will be more specific, you will be more likely to have a higher click through rate in these emails. For example, if you created lists based on where your contacts were in the buyer’s journey, you could target content specific and relevant content to them at each stage. This prevents you from sending irrelevant content to your contacts and lowers your risk of the contact unsubscribing from your emails. Personalization is also a huge component in increasing click through rates. Studies show that when emails include personalization, their open rates were 6.2% higher than emails without. Some great placed to include personalization in your emails includes subject lines, salutation lines, sender email, and more. Check out our blog on email personalization to learn more about this essential ingredient for increased click through rates. A final way to increase your click through rates is to include options for sharing. This can include an button that allows contacts to share the email with Friends or social share buttons. Studies show that emails with these options showed 30% to 55% higher click through rates depending on the amount of sharing options. These rates grow so high because when an email is shared with a friend or colleague, they are encouraged to click on something in the email because it was obviously valuable enough to be shared. If you have the option to include social or email sharing in your emails, take advantage of it! Email marketing is an important form of communication that can be used in multiple ways during your client’s buyer’s journey. However, if your contacts are not clicking on the information in your emails to continue down the funnel, then the emails need to be reevaluated to increase the click through rate. This will increase the value of your emails for both you and your contacts. Creating a buyer persona for your target audience is the best way to make sure the content in your emails is valuable to your contacts. Download your free Buyer Persona Template here!